The new hospital’s tight urban site was successfully managed through detailed planning, resulting in 235 days of construction without a single lost time accident. 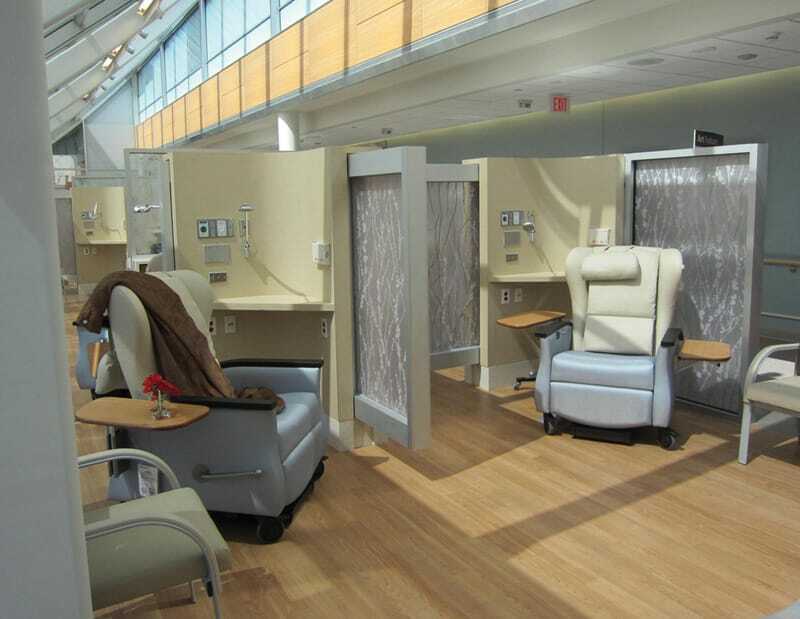 The Seidman Cancer Center consolidates and greatly expands the hospital system’s existing cancer center. 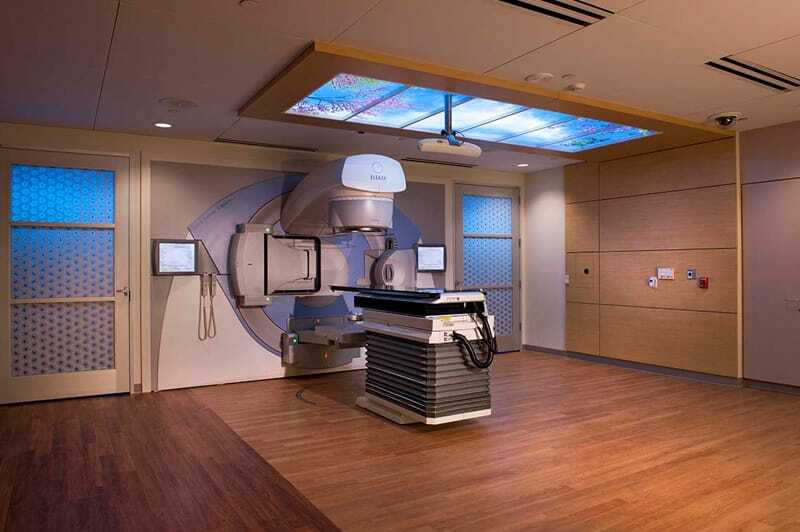 The new facility features radiation oncology with four vaults, two simulators, one HDR/Brachytherapy room, ambulatory center, phlebotomy, infusion suite, bone marrow transplant unit, inpatient surgical suite with four new operating rooms and 120 patient rooms in four nursing units. 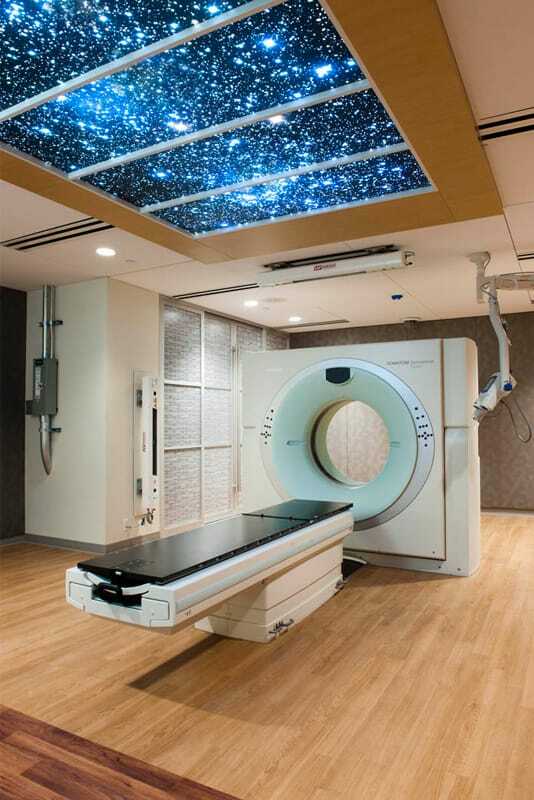 The Seidman Cancer Center is only the fifth location in the world to include an integrated positron emission tomography (PET) and magnetic resonance imaging (MRI) machine. 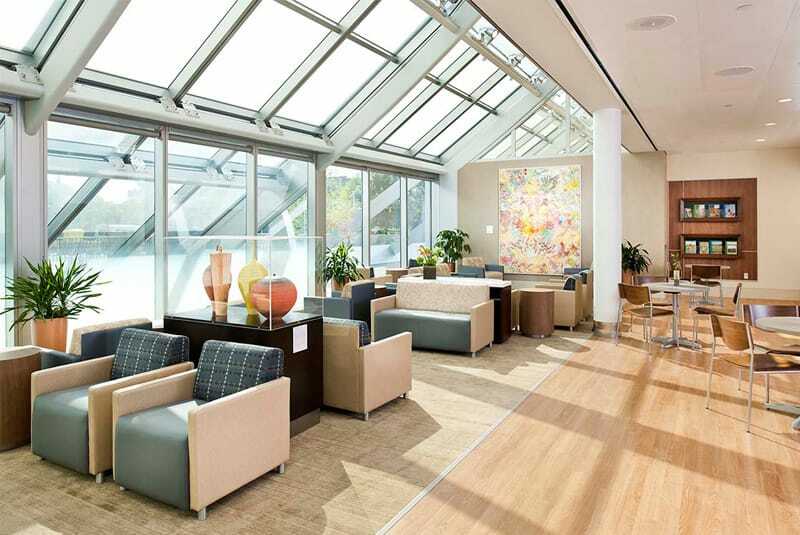 Located in the heart of University Circle, the project’s urban site was bounded on three sides with public roadways, and existing hospital facilities on the fourth side. Faced with limited laydown space combined with numerous site access restrictions, Gilbane’s team developed an execution plan that overcame challenges including maintaining ambulance access and emergency egress from existing hospital facilities, as well as ensuring safe public access to bus stop on the site’s perimeter. Extensive use of BIM during the MEP coordination process for clash detection revealed approximately 2500 potential clashes – resulting in an estimated savings of $1.5 million of potential change orders.